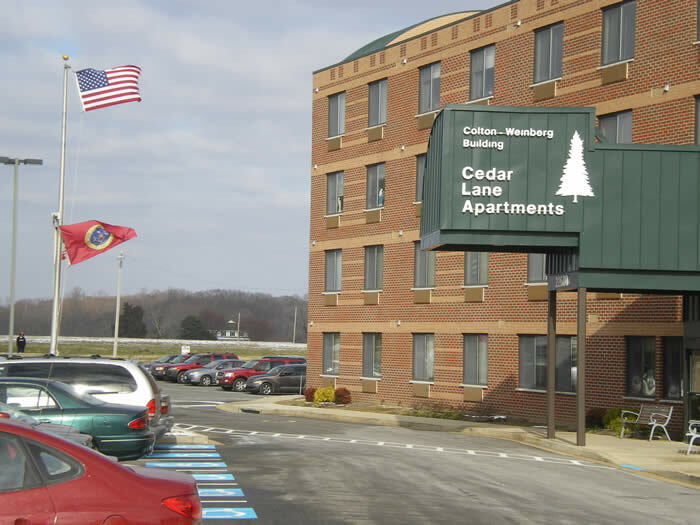 Using a $50,000 grant from the Maryland Energy Administration (MEA), residents of the Cedar Lane Senior Living Community in Leonardtown now save money on energy bills while enjoying a comfortable indoor climate regardless of weather. The grant, issued to St. Mary’s County as part of the MEA’s EmPOWERing Clean Energy Communities Low-to-Moderate Income Grant Program, allowed the Friends of Cedar Lane, a non-profit organization that provides support to St. Mary’s Home for the Elderly and the Cedar Lane Senior Living Community, to replace 51 Package Terminal Air Conditioner (PTAC) units in 51 residential apartments. This grant is part of the EmPOWER Maryland initiative, and is funded through the Strategic Energy Investment Fund (SEIF). SEIF funds come from the Regional Greenhouse Gas Initiative (RGGI), and the SEIF fund statute requires that 50% of all energy efficiency funds be used for low-to-moderate income Marylanders. The grant funds were divided among the Maryland Counties, with $50,000 available for St. Mary’s County for the grant period March 1 through Sept. 30, 2010.